It's been a few months since I first started using this and I am ready to share my review. I have combination skin - oily and dry depending on the weather. 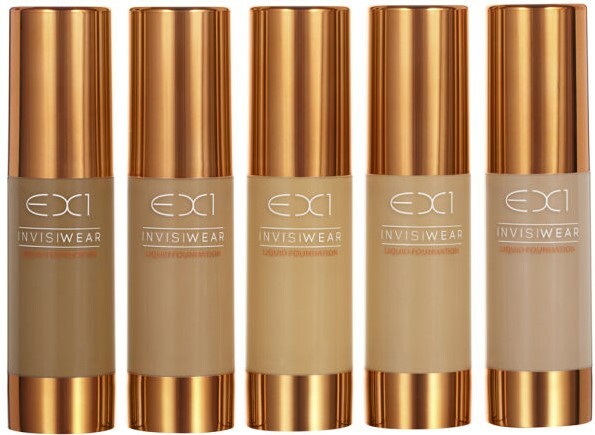 I first heard about this on YouTube and found out it was available to purchase off Look Fantastic, I did a little more research online about the colour range, suitability and did some Instagram stalking of people who have used the foundation - Rita Ora during X Factor and Kylie Jenner on her Elle cover. The foundation is said to be formulated for olive/yellow based skin tones, is non pore clogging, helps banish imperfections, is 100% fragrance and oil free and leaves you with a skin on skin natural effect. The shade collection as you can see is limited which is a disappointment for lighter skin tones. 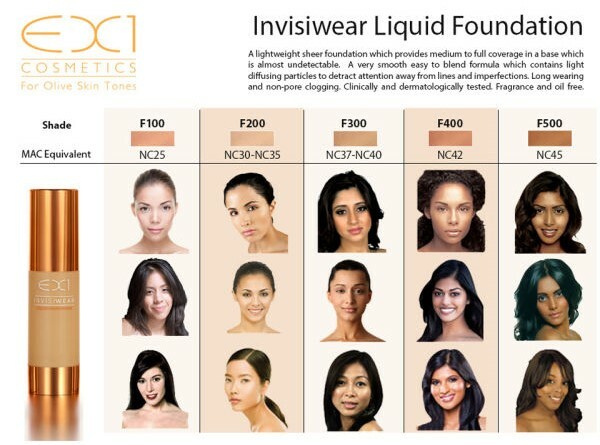 F100 which is the lightest shade in the collection is more of a Mac NC25, but I find it a bit dark for me, so I do have to put some gradual tan on to even out my body or buy some whitening drops to lighten the foundation. Packaging wise, I really like pump, you get enough product in one pump for a sheer coverage and more if you want to build it up. I find using a flat top buffing brush or a stippling brush, the best way to apply the foundation. The beauty blender soaks up too much of the product and makes it too sheer on your skin. The copper packaging is beautiful, which sits nicely on your vanity, the clear plastic also allows you to see how much product you have left in your bottle. The foundation itself leaves a beautiful semi-matte finish, very skin like as advertised, it comes out quick thick but allows a sheer to medium build-able coverage. It covers all my redness on my skin and minimises the appearance of scars. It lasts all day on me, has no scent, makes my skin look flawless and hasn't broke me out. The foundation is very affordable for £12.50, I do recommend it to anyone who have a yellow/olive undertone but the shade choices are quite limited and need extending. Other than that there's nothing I can fault, it more of a summer shade for me right now, as I am quite pale. I've heard great things about other make-up products in the line such as the blushers which might be on my next pick up list. Are you interested in the EX1 foundation? Never heard of them before. Shame they only have a few shades! 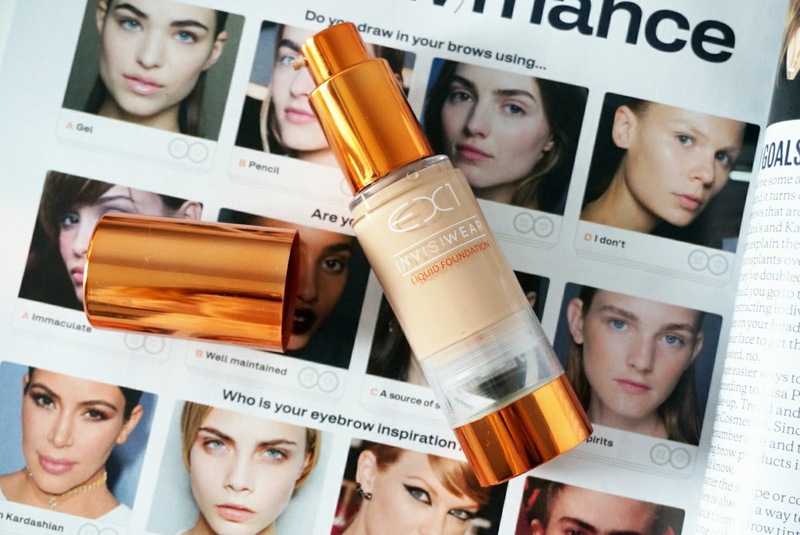 I love this foundation, great for those no makeup, makeup days! NW20 means you have a pink undertone. EX1 is for yellow/green undertones. You'd need to be an NC or C in MAC. If you still want to try it, EX1 just released 8 new shades, including some for fair skin.